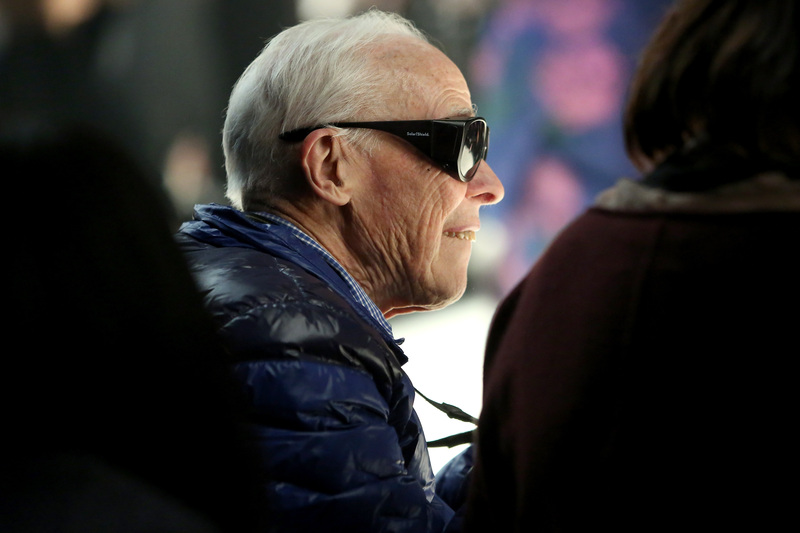 On June 25, the fashion world lost a legend. Bill Cunningham, the famed New York Times photographer who shot street style photographs of New York City's most stylish, influential citizens, passed away at the age of 87. During his tenure at the Times — a tenure which lasted nearly 40 years — Cunningham not only influenced the fashion industry with his art, his bright smile, and his signature blue jacket, but he also changed it forever. Given his importance in popular culture, it's no surprise that fans are mourning Cunningham's death with devastated reactions and messages of love for the photographer. Cunningham, according to the New York Times, had recently been hospitalized after suffering a stroke. After dropping out of Harvard University in his youth, Cunningham made a name for himself in the New York fashion world. Anna Wintour, editor-in-chief of Vogue magazine, once told the New York Times in 2002: "I don’t know how many times he has taken my photograph, but we all dress for Bill." A simple, beautiful statement about a man who could add layer upon layer of complexity to any photo he took — there's nothing more fitting. Fans took to Twitter to share their reactions upon hearing of the legend's passing.